By now, there are several generations of former volunteers with and without impairment/disability, who have been working in projects for disabled people or at Disabled Peoples Organizations. 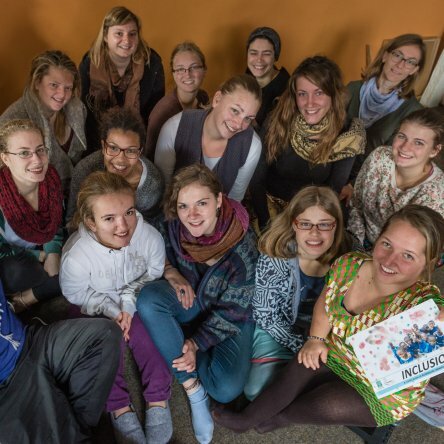 After their intensive experiences abroad, many of them unites their motivation and their will, to continue their social engagement in Germany or their home country (in case of South-North exchange) and to exchange their experiences. In November 2011 and 2014 a network meeting was organized for all the returnees. asked after their return. This exposition is planned and designed by returnees. It shows impressions of a voluntary service and the time after it on 12 boards. In the last few years bezev has been a cooperation partner of the “and now? !”-Conference which is organized every year by and for returnees. bezev cooperates with the project/organisation "world images" (Arbeitsstelle Weltbilder), that offers different qualification measures for returnees. For example "welt.bilder" or "globalista". Two returnees, Ina and Lara organized an intercultural exchange between Ghana and North-Rhine-Westphalia. They invited their former colleagues from their work place in Ghana to Germany, with the support of weltwärts. 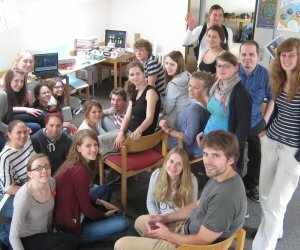 In Germany they visited organizations for people with disability among others. Together we achieved the aim of talking about the differences and similarities in the treatment of people with disability in Germany and Ghana.